Installing solar panels is the perfect solution for Williams homeowners who want to reduce their own carbon footprint. Solar panels are an affordable, clean and green source of energy for Williams homes large and small. At Wing Solar & Wood Energy, Inc. we install solar panel systems of all sizes for homeowners and business throughout Williams and Northern California. 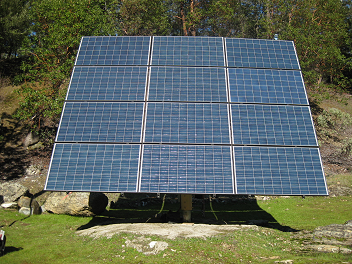 We pride ourselves on using only well-constructed, long-lasting, American-made solar panel products. Our technicians are thoroughly trained to ensure all systems are installed properly, and everyone at Wing Solar & Wood Energy, Inc. is 100% dedicated to customer service and satisfaction. In addition to being a green technology, solar or photovoltaic panels decrease your Williams home's dependency on the main energy grid. In fact, panels can produce more energy than your house needs. 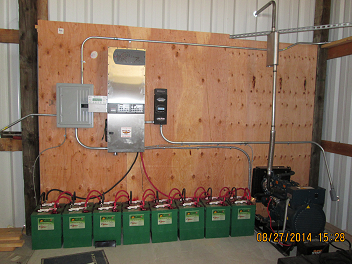 Wing Solar & Wood Energy, Inc. can install On Grid/Grid Tie or Off Grid solar energy products. Below you will find more information about both. Wind power is one of the fastest growing forms of renewable energy sources in Williams, CA, and its growth is fueled by the constant rising energy cost and government tax incentives now at 30% of the total installation cost. Whether you are a homeowner or commercial property owner in Williams, CA, you will dramatically see the benefits from a wind power system. 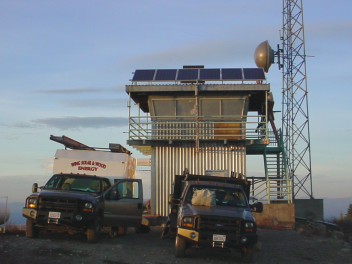 Our experts at Wing Solar & Wood Energy, Inc. have been installing wind turbines Williams, CA, and in the Northern California area for over 40 years. We use the Whisper 500 Horizontal Axis wind turbines. We also use Kelso Vertical Axis wind turbines. To learn further about the wind turbines, please contact Wing Solar & Wood Energy, Inc. toll-free at 1-800-492-4061. Wing Solar & Wood Energy, Inc. offers custom designed solutions for all of your alternative and renewable energy needs in Williams, CA. With over 40 years of combined experience our experts have skills and a wealth of knowledge to get you up and running quickly. Whether you are looking for a simple back-up generator or a fully equipped off-grid power system with integrated wind and/or solar we have got you covered. 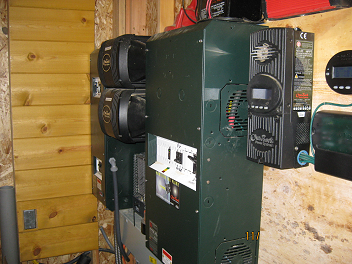 You may be asking yourself, "What is an off-grid power system?" Though this page is designed to answer many of your questions we invite you to contact our office toll-free at 1-800-492-4061. For your convenience, you may also request more information from this site. You are ready to build on your Williams land, only there is no utility power available? What are your options? You can ask your local utility to extend new power lines, but the cost is prohibitive, for example, the Pacific Gas & Electric Utility of California now estimates $75,000 per mile to extend new power lines and then you pay electric bills for the rest of your life. Your monthly bill growing as the utility rates increase. Or you can use an engine generator as a source of power, however the cost of fuel and maintenance is high for generators, and this can be difficult but not impossible to get away from the noise and pollution it produces. By going off-grid with Wing Solar & Wood Energy, Inc. you can dramatically reduce your energy costs. Residential hot water systems can use solar collectors to preheat the water that is coming in to your existing gas or electric water heater. The warmer the water coming from the solar pre-heater, the less gas or electricity is required to heat the water to the desired temperature. During the summer months, a properly sized solar hot water system will provide almost 100% of a Williams households needs, and on an annual basis they will provide approximately 60% - 70% of the energy needed to heat household water. Solar hot water works well with an Outside Wood Fire Water Furnace. In-floor radiant space heating uses hot water delivered to tubing built into the floor to heat your Williams home. Because radiant heating heats objects and not the air, it is much more efficient than conventional forced-air furnaces. While the initial cost is higher (typically 30% - 40%) than conventional heating, the annual operating cost of radiant heating is nearly 20% - 30% less. Solar powered pool filtration pumping packages allow you the luxury of a swimming pool on remote building sites in Williams, CA. A solar electric pool pumping system uses energy efficient DC pumps to perform pool filtration. Because the pump is connected directly to the solar panels, it starts running shortly after sunrise and continues until shortly before sunset. These systems run longer during summer days. Another crucial factor in the decision to build 'off-grid' is the availability of water. Where it is feasible to drill a well, solar electric water pumping is also an economical way of pumping that water out of the ground. There are many different types of solar water pumping systems, from lower-flow deep well DC submersible pumps, to higher yield AC surface pumps for various agriculture and aquaculture applications. Your daily water requirements, the amount of sunshine available at your Williams location, the total vertical lift, the horizontal run, the well 'yield' and the size of your pipeline, must all be factored into designing the most economical pumping package to best meet your agricultural and residential needs.